Few pants on the mountain offer a higher level of style, performance, and weather protection than the Descente Gwen Insulated Ski Pant. Made from 4-way stretch fabric, the Gwen includes Descente's Motion 3D™ Fit for the best ski-specific movement you'll find. That fabric comes through in the wintry weather, too, delivering 20K/20K waterproof-breathable construction. In other words, wind and moisture won't get near you. The accent stitching on the front adds a great look that will tie in perfectly with nearly any ski jacket. 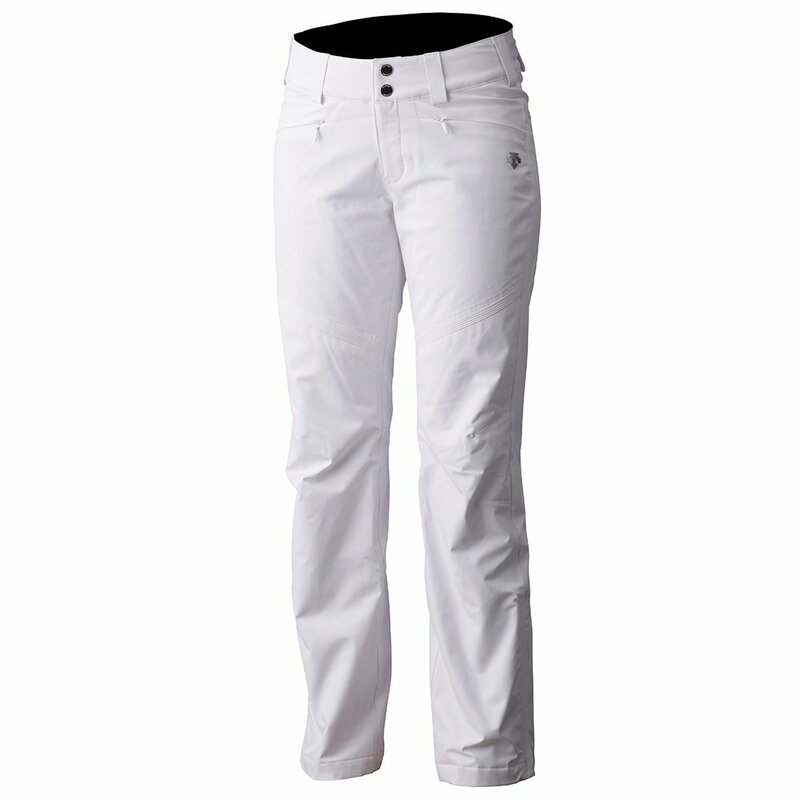 Look great on the slopes and off with this insulated pant.